What a difference a month makes. A little over a month ago we were reporting rising inventory and median price increases of .8%. 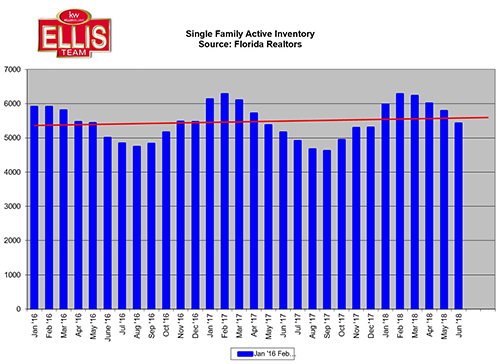 Since then, inventory fell by almost 100 homes and Southwest Florida median home prices rose 8.2% in July from last year. They rose 2% from June numbers alone. The average price increase in July was 15.8% over last year and was about steady from the previous month. 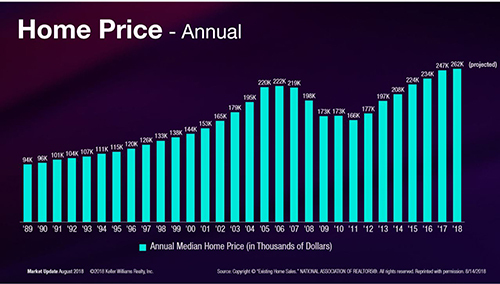 One of the reasons we use the median price is it’s more stable and is not subject to wild fluctuations like the average is. In any event, both indicators are healthy gains. All we see or hear in the media is how the water crisis is taking a toll on business and real estate sales. Perhaps it is affecting waterfront real estate sales, however statistically we can’t say it’s hurting the overall market. You must be careful not to buy into negative news. At the Ellis Team, we’re all for reporting the news accurately. It usually tells a story, but not always the story you think. We like to look at the numbers and see if there is a cause and effect. Sometimes there is, and sometimes there isn’t. What is a problem for some becomes an opportunity for others, and we’re not just talking about the water crisis. If you let outside influences affect your outlook, it can become your reality. If you’re a real estate agent and you believe the market is down, you’ll sell as if the market is down. When you believe the market is good, you’ll sell that way too. You’ve heard the sayings, “Anything the mind can conceive, it will achieve”, and “Perception is reality”. This is 100% true. We’re not saying agents should pump themselves up by saying the market is something it isn’t! The sooner you identify and tackle reality the sooner you are on your way solving an issue. We are saying that agents and the public should seek first to understand before making broad assumptions. If you were a military planner, you wouldn’t attack New Zealand because Syria was acting up. You’d look at the whole situation and determine if force was even necessary to begin with, and if so, where. The same is true in real estate. Salt water waterfront may be affected while fresh water and non-waterfront might be on fire. I haven’t gone in and done an in-depth analysis of salt water sales, so I can’t even tell you if it’s being harmed nor by how much. I’ve seen agents on TV telling us how bad it’s affected their sales. While I don’t doubt that, you must ask the question. Is that their perception making their reality come true, or is it fact? It could very well be fact, and perhaps one of these days we’ll research that and report to you what we find. If you’re a buyer, or seller, it pays to know which segments of the market are hot, and which are not. It affects how soon you must place your offer when you find a nice home, and how close to asking price you should offer. The Ellis Team are experts at counseling buyers and sellers. Sande and Brett each have over 30 years’ experience, and we have a team of agents we meet with every week and discuss market conditions. 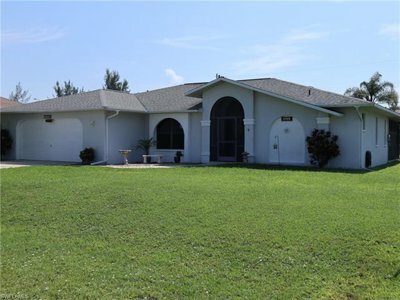 Last week one of our agents identified a hot buy alert on a property in Cape Coral. One of our other agents on the team sold it. When you have a small army who knows the market and works in it every day, it helps all your clients. 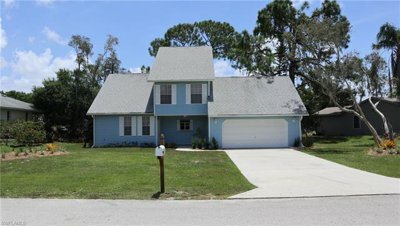 If you’re looking to purchase, call us at 239-489-4042 or check out www.LeeCountyOnline.com It has some of the area’s best buys, and it’s updated instantly. 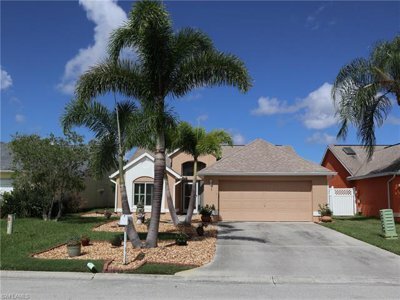 If you’re thinking of selling, check out www.SWFLhomevalues.com, or call Sande or Brett Ellis 239-489-4042 Ext 4. We’ll be happy to give you great advice we give all our clients. The value isn’t in the agent showing you homes, it’s in the knowledge behind the research. The Ellis Team has the knowledge and the research. 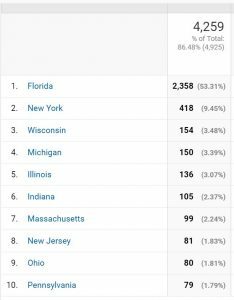 Posted in Cape Coral, Cape Coral Real Estate, Fort Myers, Fort Myers Beach, Fort Myers Real Estate, Schools, Southwest Florida Real Estate. Has the National Real Estate Market Peaked? There are many forces that influence how well a market is doing, and in 2018 we’re seeing a new dynamic we’ve never seen before. Typically markets pull back due to economic factors like unemployment, interest rates, consumer confidence, etc. This year we’re seeing fewer sales nationwide due to lack of inventory. 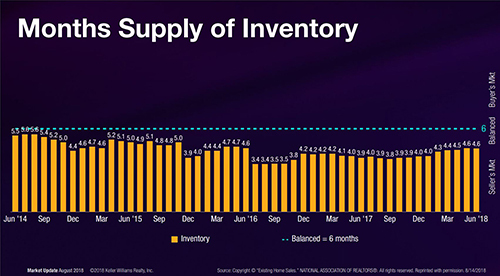 Inventory is starting to rise again. So are interest rates which are affecting home affordability. Prices rose approximately 4-6% nationwide last year, while incomes rose 2-3%. In a fully indexed market, this isn’t sustainable. 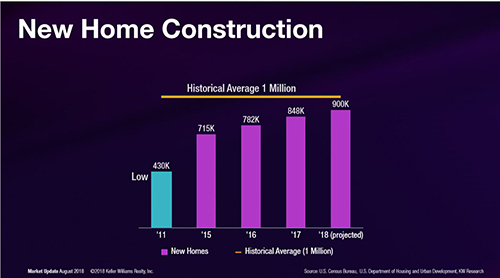 Keller Williams’ leadership mentioned we’re in a supply driven shift, which is unique because usually shifts in the market are determined by other factors we mentioned earlier. So, the answer lies in what happens first? As we exit the supply driven stall, what wins out? Does consumer demand eat up the new inventory, or does interest rate hikes take its toll and dampen the ability of buyers to pay more? Nobody knows the answer to this, but some experts are predicting lower sales due to a softening in some markets. Mortgage applications are down 3% last week nationwide and have been down for 4 straight weeks. Mortgage bankers are noticing a 17% decline in year over year mortgage applications. The economy is on a roll. Unemployment is down to 3.9%, and demand for housing has been strong. We all know real estate is local. SW Florida can be influenced by other markets, but each market has its own strengths and weaknesses that can buck the national trend. For instance, while the rest of Florida and the country were enjoying wild gains the past year, SW Florida did not. This might be good news for SW Florida because if it’s determined later that the national market got a little ahead of itself, we may be insulated from losses as we did not participate in all those gains. Lee County may have been a leading indicator. Fundamentally it feels like a strong market nationally. If it is fully priced, the future depends on affordability and what happens with jobs, income, and interest rates. Price will move up or down depending on these other variables. Locally, we’re subject to the same issues, and a few more. Throw in a possible hurricane, red tide, blue green algae, etc. and you see we have some wild cards. Personally, it feels like we too have a pretty good real estate market going right now. And the red tide and algae will soon pass. 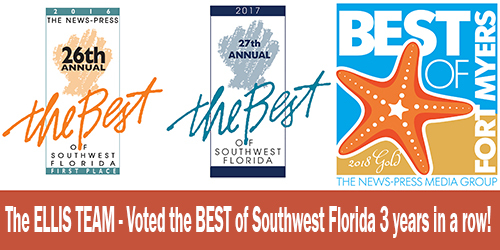 Because we didn’t participate in the big run-ups this past year, and because we have outside money that comes into SW Florida each season to invest in our market, we have potential for good times ahead. 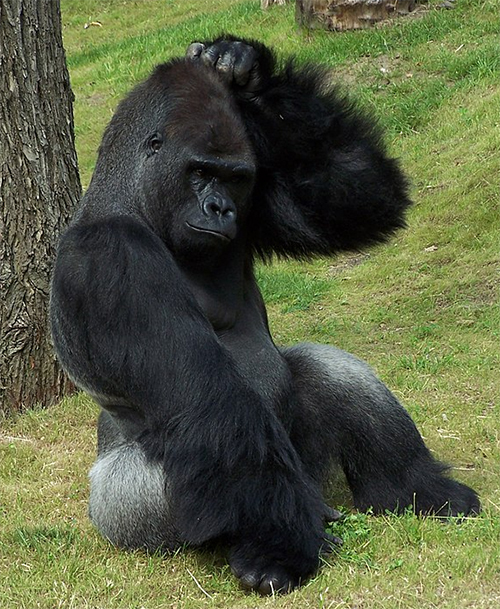 The average Joe gets hurt the worst when the market shifts because outsiders price them out of the market. Locally incomes only rise so much, and yet local buyers must compete with snowbirds and investors to buy the area’s most affordable properties. It puts a strain on local buyers with limited income. Regardless of what the national market does, Lee County has some really nice things going for it. And the negatives that are here today may be gone in a few months. We just need to see if sellers thinking of selling beat the interest rate hikes. Those that sell now may be in a favorable position, even if the market only stalls. It’s more fun to sell in a low inventory market than a neutral market. 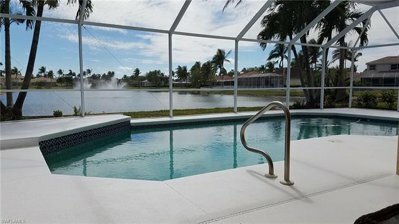 Our website www.LeeCountyOnline.com has all the listings, and it’s updated instantly, so finding your SW Florida real estate bargain is a quick search away. One of our happy Ellis Team agents will be happy to answer your questions. To sell your home, call the Best Team in SW Florida. 239-489-4042. Ask for Brett or Sande Ellis Ext 4. And we’ll be happy to help you get Top Dollar and close in record time! 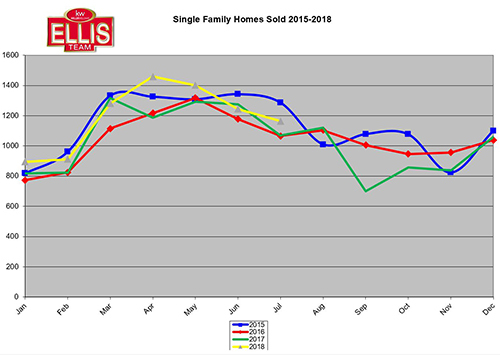 Median sales prices for single family homes in Lee County rose .8% year over year for June, rising slightly to $250,000. The average sales price rose 2.7% to $352,890, up from $343,652 last June. For the most part, Southwest Florida real estate home prices held steady in June. Prices did fall from May numbers. Median home prices were down $10,700 in June of 2018 and down almost $11,000 for average sales price in June. The market has been flat for the past 18 months, there’s just no getting around it. We are seeing fluctuations in certain price ranges. 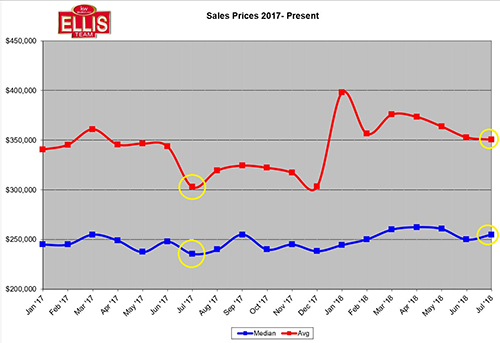 The over $300,000 price ranges in Lee County were hit the hardest over the past 9 months or so, however we have seen more sales in all price ranges in recent months along with declining inventory. Speaking of inventory, the official number of listings at the end of June rose 3.1%. However, internal Ellis Team research shows this number declined in July. There were a lot of expired listings that came off the market at the end of June. Closing activity was down 2.5% in June. 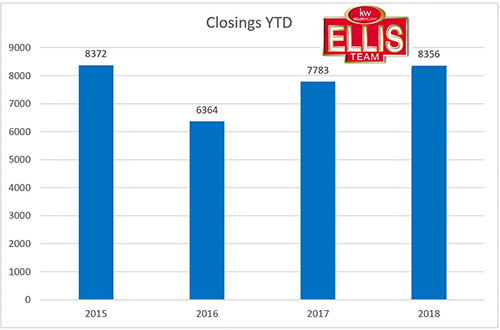 Ellis Team numbers were up significantly in June. New pending sales were down in June which may translate to lower closed sales in July and August. We’ll have to keep an eye out on July numbers in a few weeks. There is some uncertainty in the economy. Interest rates have risen, which impacts buyers’ buying power. Trade tariffs are increasing the cost of new construction, which could help the resale market if that continues. The stock market is doing well, and GDP numbers for June came in at 4.1%, the highest in decades. The economy seems to be running on all cylinders. The only fear is if looming trade wars will stall out certain sectors of the economy. We can’t control what happens nationally. Locally, hiring the right Realtor can make a world of difference. Buyers want a Realtor with local knowledge, and experience when situations arise, like inspection issues, HOA issues, etc. Sellers want a Realtor who will look over the contract and make sure it’s written properly and free of loop-holes. We’re seeing more contracts come in from new agents that are not completely filled out. We’re seeing offers from experienced agents slipping in loop-holes and buyer closing costs into the fine print. Your Realtor really needs to look at the contract to make sure the buyer agent didn’t slip in extra ways to void the contract, or shift buyer closing costs to the seller. If you’re buying, you can save thousands too. We’ve got a tool that saves the average buyer about $5,000. Call us and ask how you can take advantage of this tool 239-489-4042 You can search the MLS at www.LeeCountyOnline.com It’s updated instantly with all the latest listings. Viewing homes online that were sold yesterday, or missing out on new homes that just entered the market can be frustrating. 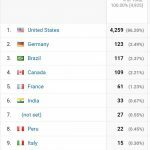 When you use our site, you’re more likely to have a better outcome. The best homes go quickly. We can help you beat out other buyers to hot new listings. The market is steady. Each price range can vary. It pays to study the market so when opportunity strikes, you’re ready. We love sitting down with people ahead of time and planning out a strategy, even if it’s 6-12 months down the road. If you’re thinking of making a move, we should talk. Give us a call. You’ll be glad you did. 239-489-4042 Ext 4. ask for Sande or Brett Ellis. A question we get from time to time is what are the common pitfalls of selling by owner? It’s a great question, so let’s dive in. The first pitfall is legal. Most sellers don’t realize the regulatory pressures they are under, whether they sell by owner or with an agent. The state has jurisdiction over property, homeowner, and condo disclosures. The federal government has jurisdiction over issues like lead-based paint disclosures, waterways, docks, etc. We’re lumping the Army Corps of Engineers in with the federal government. Missing any one of these important disclosures could cost you a sale, or worse, a lawsuit or fine. Security is another issue that concerns sellers. They want to know who is coming into their home. Sellers are concerned if the prospect is an actual buyer, or someone who is looking over the contents of the home only to come back later and rob the place. The Buyer’s ability to pay for the home might be one of the largest concerns sellers have. When selling by owner, asking this question can be tenuous. The buyer feels like it’s none of your business and their finances are their business. But it is the seller’s business. As a Realtor, we can ask those tough questions and demand proof. It’s what we do, and if a buyer is skittish about answering, it bears more questions. Realtors with experience can read more into what’s being said and uncover more facts. Red flags should never be ignored. Newer agents, and For Sale By Owners don’t always see the red flags, and when they do, they don’t know how to handle them. Security might be the biggest of the common pitfalls of selling by owner. Marketing is critical to getting top dollar. It doesn’t do much good to save a commission and lose money at the same time. I’ve seen 3 studies that show For Sale By Owners sell for 6%-16% less than using a real estate agent. Essentially it costs you nothing to use an agent but could cost you thousands not to. Placing your home online in a few places isn’t marketing. It’s simply listing it in a directory. A few buyers might notice it, but you’re not getting it out to the masses. Sure, you’ll get some calls from people looking to flip homes and unqualified buyers, but nothing that is going to close or gain you top dollar. If you doubt us, just try it and see how you fare. Then call us after a few weeks and we can change that for you. All Realtors are not the same. If some Realtors have a hard time marketing a home, imagine how hard it is for a For Sale By Owner. Again, just placing it in MLS and putting a sign up is not marketing. You need much more than that to get the word out. If all you attract are unqualified buyers and just a small percent of the market, you’re not attracting top dollar. Imagine putting an item for sale in an online auction. If you had one bidder, you might sell it. If you had 10 bidders, it’d probably go for more money. If you had 1,000 bidders, it would sell for more than if you had just one bidder. Full market exposure equals Top Dollar. Less than that equals less than Top Dollar. The Agent You Hire Matters. The Ellis Team markets your home for all it’s worth. We shoot for Top Dollar. Why be satisfied with one buyer when you could have several to choose from? Our marketing generates lots of buyers. We can bring all the buyers you’ll ever need, but if the home is not priced correctly, they’ll just go buy something else. 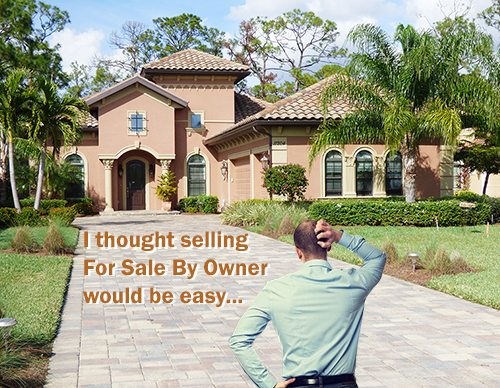 We’ll help you avoid the common pitfalls of selling by owner. See also 3 Reasons Why Homes Fail to Sell. 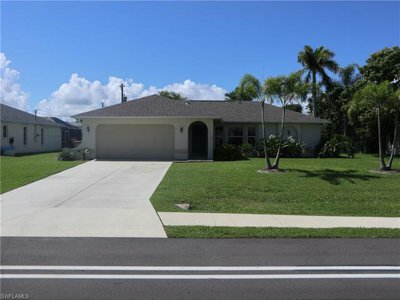 Check out www.swflhomevalues.com to get an idea of what your home may be worth. Our computer is very good. In fact, it’s the best we’ve ever seen by an automated valuation service. However, it it not perfect and there is no substitute for having Sande or Brett come out to your property and doing a comparative market analysis. If you have a home to sell Always Call the Ellis Team, your Top Dollar Realtor! 239-489-4042 Ext 4 ask for Sande or Brett. We’re here to help. Sande Ellis and Brett Ellis are a mother-son team and have over 30 years experience selling homes in Southwest Florida. Brett and Sande personally visit each property and do an in-depth analysis of the price as well as strengths of the property. This is important because if we’re going to reach the best target buyer for the home, it pays to know every detail that may attract that best buyer. Of course, many times our marketing attracts multiple buyers. This is good news for sellers when we’re able to do this as it typically brings a better price for our sellers. Imagine an online auction. If you had an item to sell and had 10 buyers, you’d fetch a certain price. But if you had 1,000 buyers, the price your item would fetch might be much more, wouldn’t it? We get calls all the time from discouraged sellers asking for our help. They placed their home on the market with another agent and it didn’t sell. They just can’t understand why their home wasn’t liked enough by a buyer to make an offer. We tell them there are 3 reasons why homes fail to sell. A home must be marketed everywhere to attract top dollar. Simply placing it in MLS or adding a few yard signs may not get the job done. Even though your home is on MLS, it’s not reaching the whole market. It also doesn’t stand out. Buyers have choices, and if you’re just on a list, your home better stand out as a bargain or offer something they really want. Getting your home out to the right people at the right time in their buying cycle is key. We can’t tell you how many times a buyer has said we wished we’d known about this other home when we were buying. It was on MLS, but it didn’t stand out. It was just a home on a list. So, you’ve got your home on the MLS. Does the description make the buyer want to call and ask more questions? Are all the fields perfect in MLS. If a Realtor, or buyer for that matter, is searching for a particular field and yours is missing, your home is invisible in that search. Do you have all the required documents uploaded into MLS at time of listing? This isn’t the time to be lazy. Many times, buyers have questions about the HOA, the rules, the finances, etc. and they like to see the answers immediately. If they’re absent, they move on and you lost your chance. Your home must be priced at market. If it is over the market, it’s not really on the market. Finding the true market price can be tricky, we get it. It takes years of experience and studying the market daily as the market is always in flux. We tell sellers we should receive an offer about every 4-5 showings. If we’re not getting offers, something is wrong. If we’re not getting showings at all, something bigger is wrong. We’ve either got an error in the details, or our price is off more than originally thought. 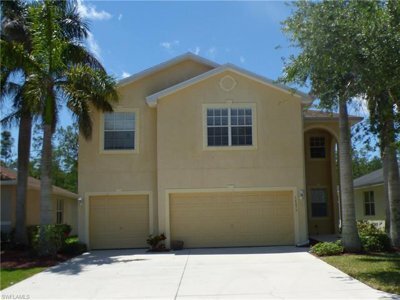 If you’d like to get a pretty good ball park idea of your home’s worth, go to www.swflhomevalues.com It is a computer and does a pretty good job, but it’s no substitute for us looking at your property. Many people say it’s not price, it’s the condition or the location. It’s true, you can’t change the location. You’re locked in by location, and if you’ve got a neighbor that isn’t keeping up their property, it could affect your value. If your condition isn’t up to par, it too could affect your value. Notice the key words here? Your value. Value is determined by the market. You set the price, the market determines the value. If your price isn’t at value, it will sit. You can improve your condition, and that may help. You may not get dollar for dollar back on improvements, but they may help protect your downside if your home has some objections from buyers. It pays to hire a professional. Failing at any one of these 3 critical components can kill a sale, or worse, cause you to sell it for less than it’s worth. 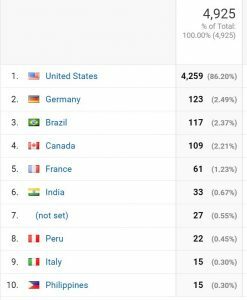 Why reach 1 buyer when you can reach hundreds? A Realtor with years of experience can help you price it properly, market it for all it’s worth, and handle all the details so you have a smooth move. If you’re thinking of selling, Always Call the Ellis Team at Keller Williams Realty 239-489-4042 Ext 4 ask for Sande or Brett. If your home failed to sell the first time, we can help fix that and get you on your way. Good luck and Happy Selling! If you’re buying, check out www.LeeCountyOnline.com We’ve got all the homes for sale in MLS, and it’s updated instantly. No more looking at homes that aren’t really on the market anymore.